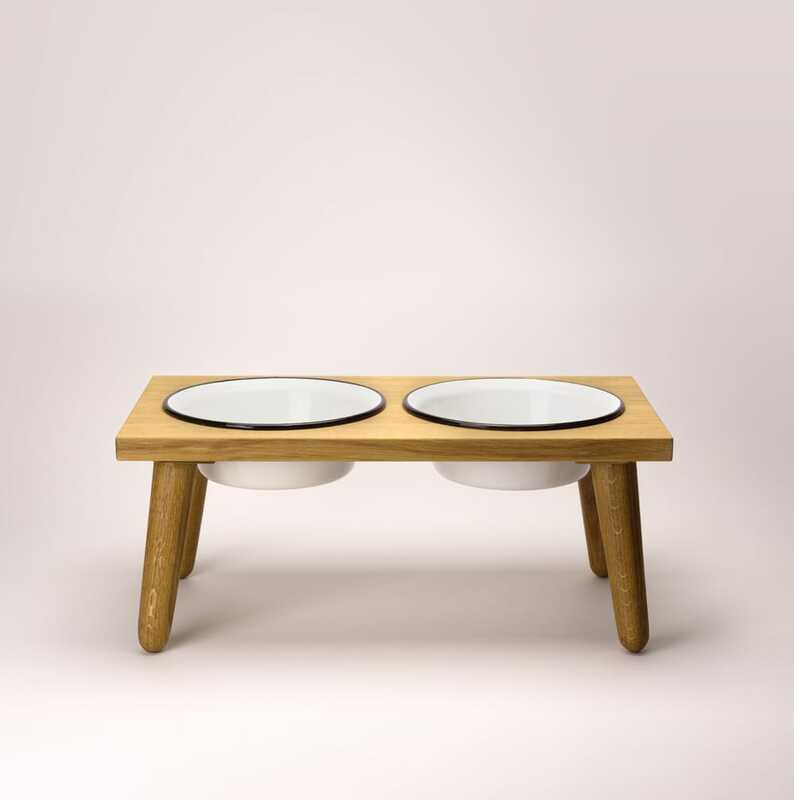 This is Alva, the dog food station for stylishly furnished apartments. Just like Fiete, Alva is handmade and produced individually in Germany. The feeding station is made entirely of oak wood. 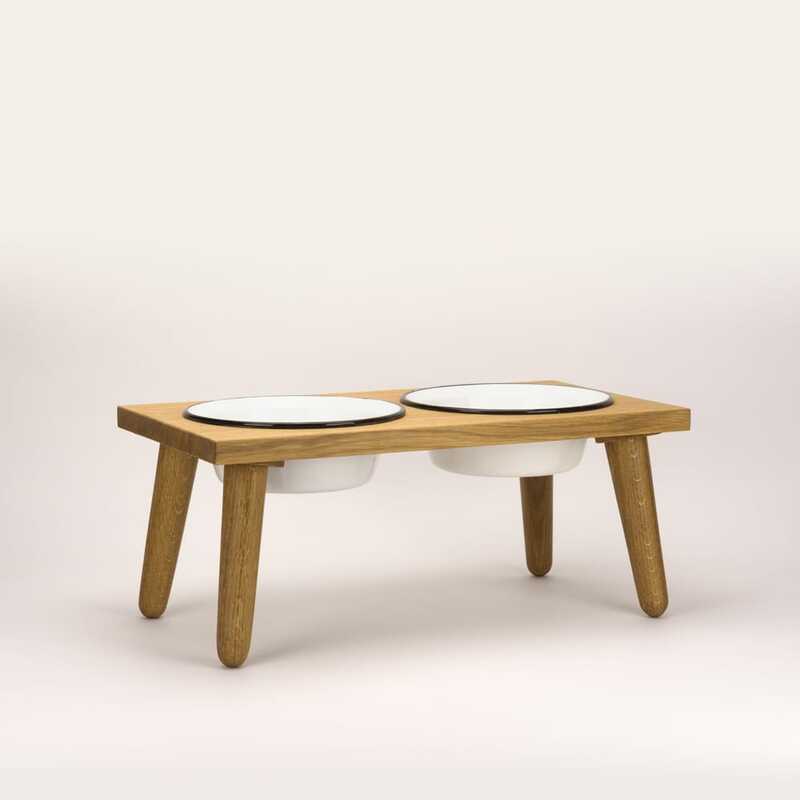 The two feed bowls are made of enamelled sheet steel. They can be easily cleaned by hand or in the dishwasher. The irregularities in the bowls are deliberate and underline Alva’s charm. Alva is a tough girl and is not afraid of the hungriest and stormiest dog. 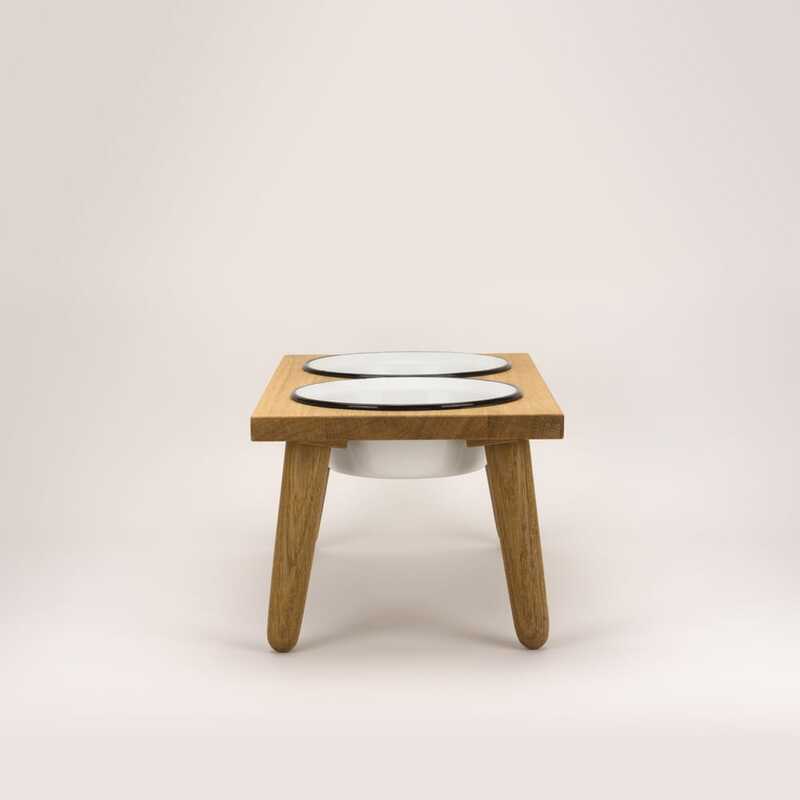 For our feeding bowl holder Alva we use high-quality German oak wood. After production, the wood is finished with linseed oil. With its modern and timeless design, Alva fits seamlessly into your home. The feeding bowls are made of enamel. 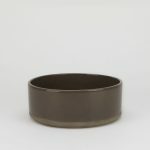 This already 3500 years old material is characterized by its particularly high resistance and is therefore perfectly suited as a feeding bowl for your pet. The small irregularities in the email are just as wanted and support Alva’s special charm.